How much of your valuable writing time are you wasting on social media and your blog to sell books on Amazon? For a lot of authors, the answer is very often, far, far too much. Would you prefer to be writing books instead of writing Facebook and Twitter posts almost full-time every day? It is good advice to promote your books from your blog but you need a lot of traffic for it to be effective. No matter how many blog posts you write, if no one reads them it’s not going to help you sell your books. The aim of book promotion for any author is to get a potential reader to find or go to your books on Amazon and buy a copy. You can hope for an honest review as a bonus. So is there a way to forget about social networks, your Facebook page and blog and still get book sales? Yes, and it’s easier than you think. The answer is to have a better keyword and category search data strategy, to use other people’s blogs and email lists, and outsource your book promotion. Then let these do all the hard work for you, while you write. So where is the benefit for you in all this hard work? And what about marketing my books? For most authors, you will sell books on Amazon through Kindle Direct Publishing (KDP) and be paid directly to your bank account. You might have chosen to use KDP Select and be exclusive. In either case, your ebook is listed for sale and Amazon takes care of delivering your title electronically. For paperback, if you also use KDP, again, Amazon looks after delivering your book to book buyers. However, if you have published your paperback or hardcover with another publisher, you may have to supply copies to Amazon or be responsible for an alternative shipping method for delivery. If you are planning to sell this way, you need to open an Amazon account and then a professional seller account. It costs between $0.00 up to $39.99 per month, to be able to sell your books on Amazon. You can also select to be charged per unit, and agree to a closing fee. Then you must set the price and choose between the two ways that your books can be sold on Amazon through Seller Central. 1. Amazon FBA ( fulfilled by Amazon FBA ) means that you will ship your books to an Amazon fulfillment center before customers order them. When a customer places an order, Amazon packs your book and ships it. 2. Amazon FBM ( fulfilled by the merchant ) means that when a customer orders your book, you as the Amazon seller packs and ships the book and pays the shipping costs. However, in whichever way you choose to sell books on Amazon, if book buyers can’t find it, it won’t sell. The only way to get potential readers to find your book on Amazon is to research and refine your book genre categories and select seven high-value search keywords. Most book buyers find new books on Amazon by using the search bar. Optimising your metadata, which is your categories and keywords, is the only way you can help these readers and book buyers find your book. In an earlier article, I outlined the ways that you can find keywords for free by using the Amazon Search Bar. You can also use Google to help in your research. However, it is a slow process and involves a lot of guesswork, and you can never be sure that you will find search terms that real Amazon customers are using. 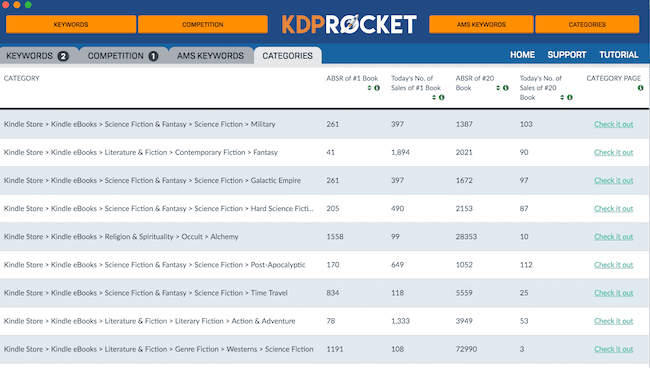 If you want to get the best categories and keywords for your books, the only way is by accessing real-time Amazon data. You can do this with KDP Rocket. It is specialist software that gives you access to up-to-date Amazon book and customer search data. 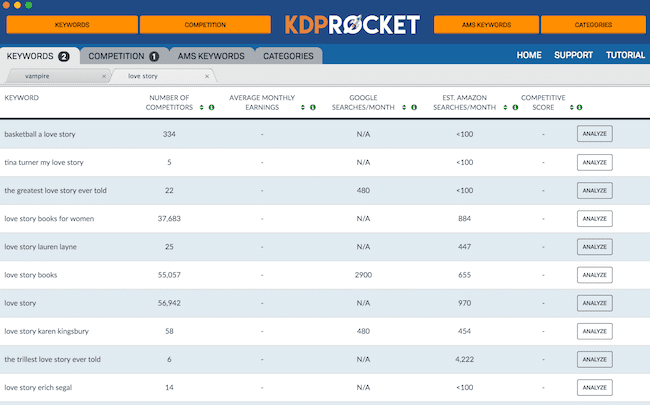 You can research ranking keywords, categories and check sales data for competitive titles. If you want to save time and get access to the best search metadata for your books, it is well worth considering. Article writing for guest posting can increase your book sales potential enormously. But you need to be very selective. You want to get your articles published on high ranking websites that have a lot of regular visitors. You could dream of getting an opinion article published in the New York Times, but let’s get realistic. It’s easy to find sites that have a high Google or Alexa ranking. Go to Statshow, which is a free site ranking tool. Enter a few of the well-known writing, publishing and book sites to check their rank. What you are looking for are sites that rank lower than 500,000. There are billions of sites on the Internet, so a lower number means a higher rank. Now you need to check each site to see if they accept guest writers. You can usually find this in the footer of a website and it is often labelled as Write For Us. You can also check recent posts on a site and see if there are articles by guest writers. If there are, you could use the contact page to inquire about how you can submit an article. Popular sites that accept guest articles usually have certain guidelines you need to check. But in general, they are looking for well-written and informative articles of more than 1,000 words. Articles on top ranking sites will get indexed by Google and Bing and attract readers to your article. But not just for a week or two after your article is published. Organic search traffic will continue to attract readers to your article for a very long time. For years in some cases. Not only that. Social sharing on popular sites can dramatically increase your article reads. When you have an article published by a top site, you gain access to its marketing tools. For example, email subscribers, social media followers and directory listings. In other words, a lot more eyes than you are probably getting on your blog. So why waste time writing regular posts on your blog, when a few of your articles on high ranking sites will connect with many, many more readers? Guest articles almost always offer a byline and a short bio at the end of an article. Write your bio as your author pitch, and use the links you are offered in the byline and bio. You can use these to add a link to your Amazon author page, or to your author profile and books on the Bookbub dashboard. You could use a direct link to one of the titles that you sell on Amazon, or use a universal book link to list all your book retailers. Your content doesn’t necessarily need to relate to your books or writing, so you are free to write articles on almost any topic. But your content and writing need to be top class. Another advantage is that you don’t need to write a lot of articles. One terrific article that ranks well can keep working for you for ages and ages in promoting your books. Set yourself a target of guest posting just once a month. It should be enough to get you a lot of new potential readers and book buyers. Don’t restrict yourself to book and writing blogs. You can write about anything so consider travel, news, beauty, fashion or even gardening websites. Write content that is engaging, informative, entertaining and easy to read. Above all else, make sure your grammar is impeccable. I would recommend using Grammarly to make sure your writing is perfect, and Hemingway to check your reading ease. Of course, you can use your articles to link back to your website, blog or social media channels. But if you want to go directly to your potential readers and save time, send them straight to your book sales page on Amazon. You have tried posting your book on your Twitter and Instagram accounts. You used Facebook Ads and watched its expensive pay-per-clicks eat away your budget. If you are in Amazon KDP Select, you might have found that Amazon Ads can be very expensive and underperforming. How much time do you spend trying to find free ways to promote your books? If you only have a small social media footprint, are you driving your connections crazy with your free book posts? The key to effective book promotion is to get your message out to as many people as possible. Online conversion rates are very low. This means you need thousands upon thousands of people to see your book if you want to sell books on Amazon. The best way to gain access to this many people is to use a professional book promotion service. In fact, using two or three is advisable. Prices for these services cover a wide range. From a dollar or two for a few Tweets, up to thousands of dollars for a Bookbub deal. The key is to find services that fit your needs and your budget. Reedsy has a comprehensive list of book promotion services so it’s a good place to start your research. If your goal is to save time, look for promotion sites that can do all the grunt work for you. Also, check to make sure you are getting very good reach for your money. You can check for reputable book promotion service providers on the Alliance of Independent Authors website. Our sister site Whizbuzz Books offers a one-year book promotion service at a very realistic price. It posts to a lot of social media networks so it might be one option for you to consider. Your main consideration is your budget. Don’t spend more than you can afford, so buy wisely. Make your decision based on how many people your promotions can potentially reach for the money you plan to invest. You should also check how long a promotion service has been in business and be confident that it will deliver in full on what it says it will do for you. The advantage of paying for reliable book marketing is that once you have arranged it, you can get on with what you do best. Can you sell books on Amazon without social media, a blog or a website? If you combine competitive Amazon categories and keywords metadata, guest blogging and selected book promotion, you certainly can. You will have much more writing time and spend far less time online being a bookseller. Leave it to your metadata, articles and promotional links to do the work for you. 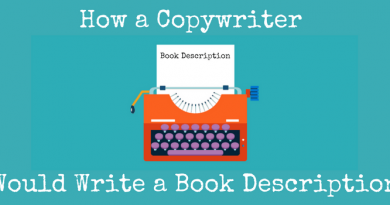 Then while you are writing, book buyers will be busily clicking your book links. ← Do You Use The Correct Order Of Adjectives In Your Writing? Derek Haines, thank you for this post. Its very inspiring. You can do it through YouTube or other social video media and blog about your books, the same way authors in the past got famous by going on television and get interviewed by reporters and journalists.